You've seen it on TV…Now you can experience the thrill of being "locked down" inside this spooky and haunted world renowned Pioneer Salon on the outskirts of Las Vegas. Become Part of a Real Paranormal Investigation! In August of 2013, the haunted 100 year old Pioneer Saloon was featured on the popular television show, Ghost Adventures. The "GAC" team were on lock down with their equipment in the saloon all night. During their intense stay they uncovered very strong and compelling evidence of ghostly existence in this historical Nevada landmark. Now, you too can experience the same thrill as you are locked inside this spooky and haunted saloon. You can use the Ghost Hunting equipment provided or bring your own. According to the History Channel, there are several ghosts that haunt the 100 year old Saloon and Gallery. The Pioneer houses bullet holes in the side of the building and a coroner's letter describing how they were created. The old saloon is said to be haunted by the gun shot victim's ghost, as well as the spirit of an old miner. 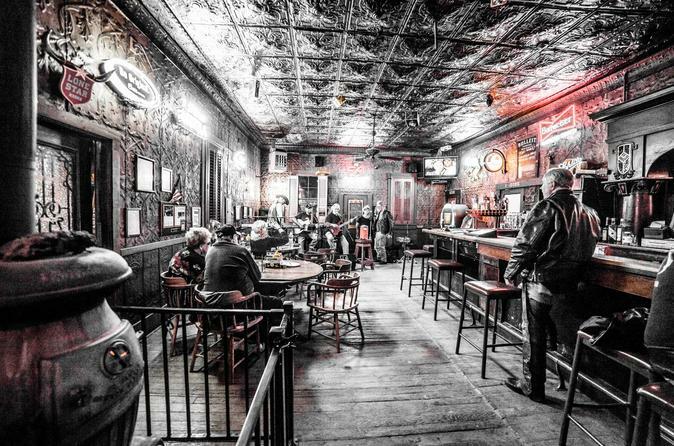 Ghostly images have been seen by many employees and saloon visitors over the years. Infrared Vision Videos and More!